Dana’s original brand of young, punk-rock, conservative irreverence has found a fast-growing audience in multiple mediums. Dana is listed in the top 25 of Talkers Magazine‘s top 100 “heavy hitters” and was named Missouri’s #1 Radio Personality in 2014. A former award-winning newspaper columnist, Dana was ranked as one of the top 16 most powerful mothers online by Neilsen and one of the top 30 Under 30 according to the St. Louis Business Journal. She was the 2012 winner of Accuracy In Media’s Grassroots Journalism award, as well as the inaugural Breitbart Spirit Award. Dana was one of the original Breitbart editors selected by her late friend and mentor, Andrew Breitbart, to head what was BigJournalism.com and helped break the Anthony Weiner scandal before departing in 2012. She is the author of two best-selling books: "Hands Off My Gun: Defeating the Plot to Disarm America" which turned the tide in the gun control debate, and "Flyover Nation: You Can't Run A Country You've Never Been To," which predicted the coastal-flyover divide and sentiment that decided the 2016 election. 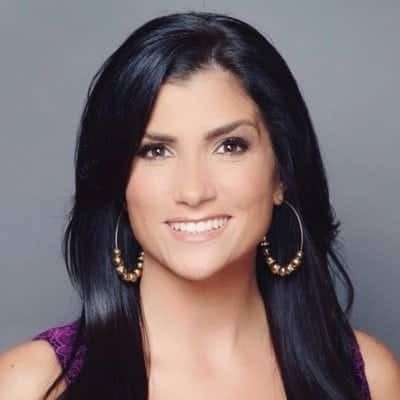 In 2016 she was named Special Advisor on Women's Policy for the NRA's Executive Vice-President and CEO Wayne LaPierre.